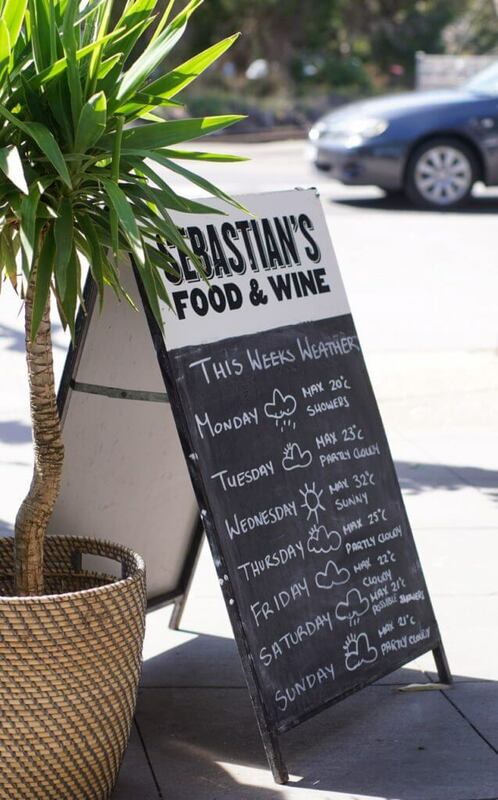 Sebastian’s Food and Wine faces the railway crossing at Hampton and is a popular haunt with commuters, families and nearby worker for all day breakfast or lunch. You can choose to hang out at the outdoor pavement tables or step away from the buzz to sit in the leafy courtyard instead. 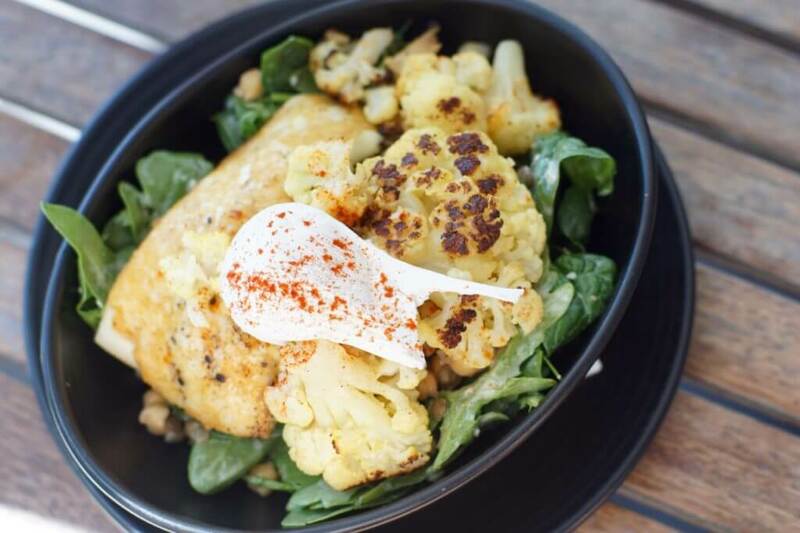 We try the Marrakesh salad ($16) with roasted cauliflower, poached egg, lentils, almonds, dates, spinach, chickpeas. I opt for a slab of grilled haloumi ($3.50) as well. It’s a crispy, healthy mix though the tahini-lime dressing could do with more oomph as it’s barely discernible. 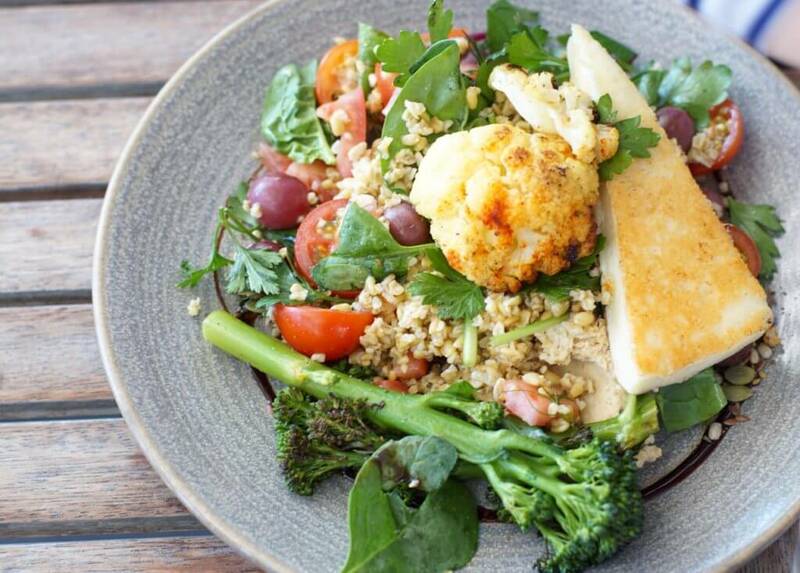 The freekeh salad continues in a similar vein ($18) with freekah, tabouleh, grilled haloumi, broccolini, roasted cauliflower. The pickled grapes are an unusual addition and give an interesting sweet/sour tang to the bowl. The Straight Outta Hampton burger ($14) is straight out of a burger textbook. 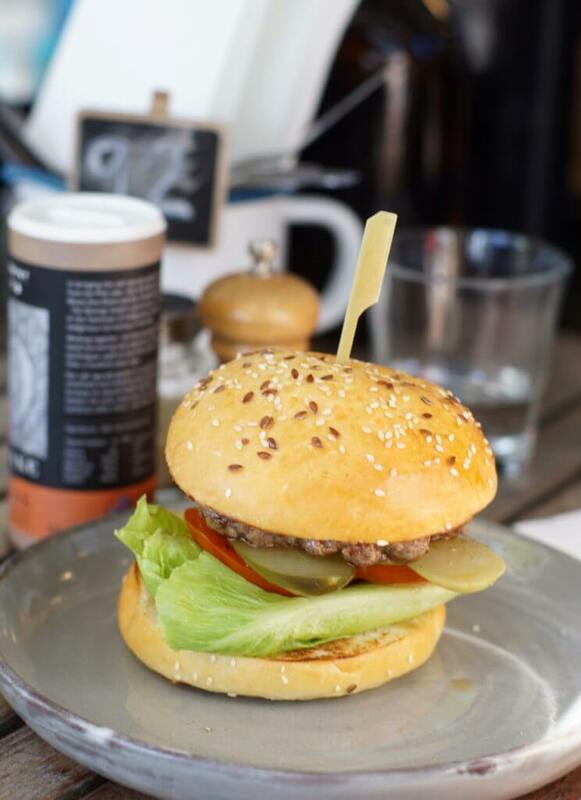 The wagu beef patty does lift it beyond the norm but otherwise it’s a fairly standard stack of lettuce, tomato, pickles, barbecue sauce and mustard. The buttermilk hotcake is an artist’s palette on a plate. 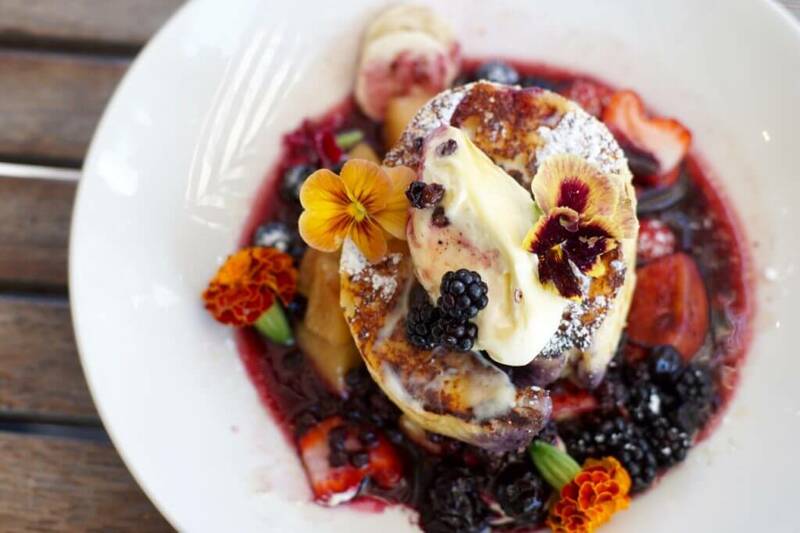 The fluffy pancake is one single tall stack with stone fruit, berries and edible flowers. While Sebastian’s Food and Wine doesn’t push any boundaries it is a convenient and reliably good option for local Hampton folk.